Dorothy reported on a visit from an old friend. I haven’t seen them for years. And I was looking forward to their visit, but it was a disaster! They had brought their four-year-old son because they couldn’t find a babysitter. No surprise. He didn’t put down his portable DVD player except to complain. At a restaurant, after being told by both parents that he could not have a soda, he ordered Pepsi. I’m sorry, we don’t have Pepsi. The waitress listed the sodas available, but only Pepsi would do. Soon Sonny Boy was under the table kicking the table legs and the people’s legs and screaming that he must have Pepsi. The parents looked helplessly at their hostess and tried to act as if nothing was wrong. But wrong it was. Big time wrong! Dorothy, startled, asked, Does this happen often? All the time, the stressed parents lamented, and we’re exhausted. They went on to explain that they buy the boy every toy he asks for, but that it doesn’t seem to make any difference. 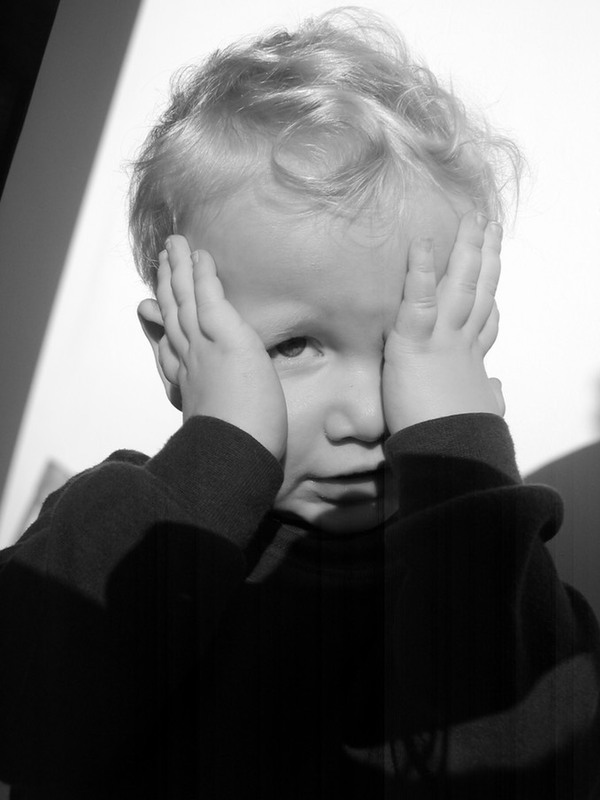 Parents with good hearts, both working to provide for their beloved child, ended up stressed by the child’s behavior. Let’s check this incident for overindulgence. 1. Interferes with the child’s development. 2. Gives a disproportionate amount of family resources to one or more of the children. 3. Exists to benefit the adult more than the child. 4. Potentially harms others, society, or the planet in some way. It looks like overindulgence on all four counts. So, back to the good-hearted parents. There are so many messages urging parents to buy, buy, buy, and still some cultural messages to let children do whatever they want. The problem is that this buying and this over permissiveness doesn’t meet children’s needs, so they respond with disruptive behavior. 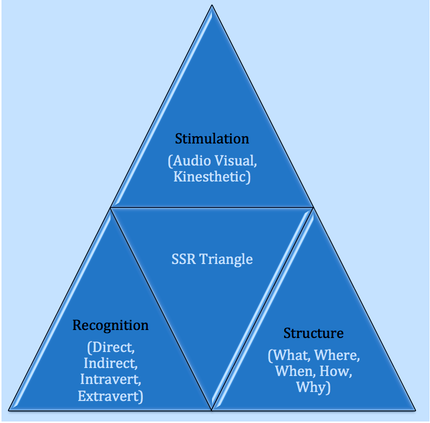 One way to think about it is to consider the SRS triangle. All children (and adults) need a balance of stimulation, recognition, and structure. Children, when they don’t get enough of one, will raise their bids for the other two and Sonny Boy did that in a big way. RecognitionStimulation? Everyone in the restaurant was looking at him. ? Kicking and screaming are highly stimulating. Structure? Missing! Neither parent carried the child outside and told him how he was expected to behave. 2. Announce and post with pictures a few rules and enforce them kindly, but firmly. 3. Limit TV time to one hour a day. Parents choose the program. Respond to it with high energy. Good job! isn’t enough. Describe the behavior and say how much it pleases you. I see you picked the book up off the floor. You are learning to take care of your things. I really like that! 5. Get help if they need it. Sometimes when our good hearts let a child get far out of control, we need the support of a coach or a class or a book or a counselor to help us get ourselves and our child back on track. Yes. For the parents and for the community, and for the child now and for his adult life. All photos from MorgueFile free photo. Graphic by David J. Bredehoft.